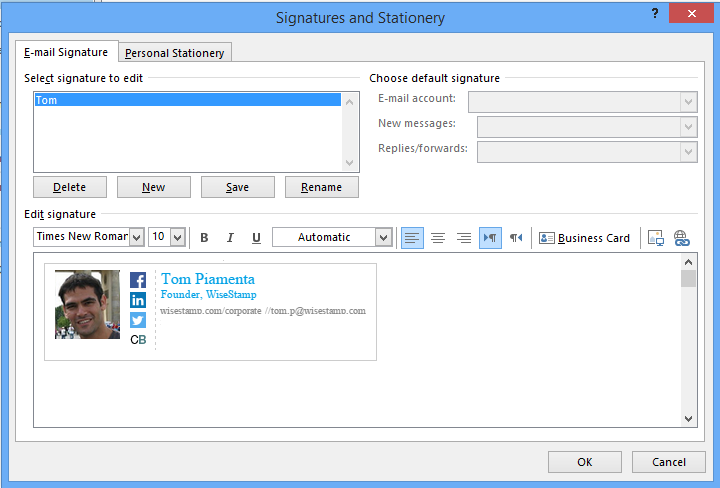 In Outlook, compose a new email. Go to Message tab and click Signature and then Signatures. Click New and name your signature (e.g. “Personal”). Go to the “Edit signature” area and paste the code that you received in your email (CTRL+V for PCs, ⌘+V for Macs). Click “OK” and that’s it!